We are rendering Polymer Coating Service. Our experts render these services by utilizing the advanced techniques. We render this service in many forms as per the necessities and demands of the client. With the help of skillful experts, we render this service as per the requirements of our customers in an effective way. Accidentally discovered in 1938, fluoropolymers share the properties and contributes to their non stick and friction reducing properties.. Fluoropolyers are characterized by a high resistance to solvents, acids & bases. We are engaged in providing large number of services, Fluoropolymer Coating Service is one of them. Under this service we take care of client requirements, specification and demands with surety of accomplishment in appropriate time. Our clients are highly satisfied with our Fluoropolymer Coating Service. 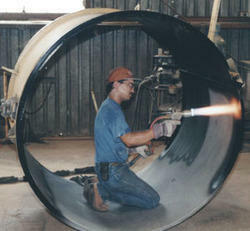 Fluoropolymer Coatings Service is provided by us and executed by our hard working professionals. Nm Building Solutions Pvt. Ltd.
Banking on the skills of our dedicated professionals, we have been able to execute Polymer Coating Service. Available at competitive rates, these services are rendered within the specific time frame. With the support of our capable workforce, we are enthusiastically affianced in rendering an extensive and effective variety of Biodegradable Green Polymers Service. In order to keep flawlessness, these are rendered by personnel who have vast understanding in this realm. Besides, their excellence makes this a favored market choice. Captivating on the skills of our professionals, we are involved in rendering Fluoropolymer Coating Service. 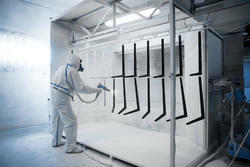 Our firm holds years of practice in rendering Polymer Coating Service. This service is handled by knowledgeable professionals who use reliable machine and advanced techniques. Due to their timely completion and consistency, this service is immensely well-liked in the market. - Working Temperature Range: 20°C to 250°C. - Coating Thickness Range: 20 microns to 1000 microns. - Lining Thickness Range: 2500 microns to 4000 microns. Our organization falls under the category of prominent enterprise, engaged in providing Polymer Modified Coating Service to our clients.